Welcome Where our agency’s philosophy being “excellence in real estate” sums up our absolute focus on providing all our clients a quality customer experience. Our professional team possess an excellent work ethic, strong values and the best mentors. Alexandra Thomas, Senior Portfolio Manager lives by her motto which is, “Managing people’s most valuable asset is something I don’t take lightly, the key to good property management is exceptional organisational skills, the ability to go the extra mile, and to offer a superior level of service.” Sales Executive Amanda Draper strongly believes, “Whether it be an Auction or a For Sale campaign, we are committed to achieving the best possible outcome for our client the Vendor, while maintaining the utmost professionalism with the purchaser.” We at Edward Thomas truly believe we have created one of the most exciting Real Estate agencies to enter the progressive Melbourne market. For any Real Estate assistance let our dedication and enthusiasm help you achieve your real estate goals. . 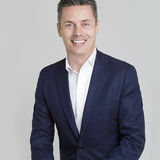 Since commencing his Real Estate career in 1997, Edward Thomas has become one of the most renowned and highly respected Real Estate professionals in the industry. Totally professional, Amanda’s committed work ethic, diligence and a burning desire to match people to houses, immediately makes her a stand out against her competitors. With extensive working experience in both fashion and interior design, Evie has an eye for style and will competently assist you in the “pre-sale preparation” of your home. Passion, determination and attention to detail is how Alex has been described by both Landlords and Tenants alike, all of whom have been delighted with her level of service and commitment. Prior to Real Estate, Bianca worked in guest service in the airline industry. “I believe my time in guest services has proved a brilliant platform in customer service, one which is very transferable to the real estate industry”. 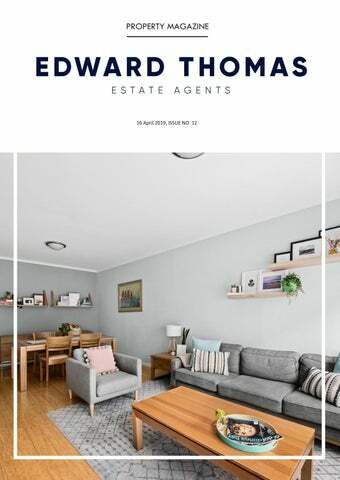 The team at Edward Thomas Estate Agents insist Ed, with his infectious personality is a true professional. Ed strives to always provide his clients with honest and proficient advice in every circumstance. KERIANN HALIL Reception / Front of House From the moment you are greeted by Keriann her professionalism and empathy for our clients shines through. In Keriann s’ own words: “I take great pride in welcoming new and existing clients to our company and in creating a relaxed yet professional atmosphere within the premises”. Sofia brings a wealth of experience stemming from her time working with the largest marketing and communications company in Australia. Her experience in marketing and social media is second to none, so when it comes time to sell or lease your property, Sofia’s advice and expertise are invaluable and highly sought after. Having owned and managed her successful interior design business, another string to Sofia’s bow is the ability to provide our Vendors and Landlords with the very best advice in getting their property ready for sale or lease. In an ever-increasing competitive market, Sofia’s amazing skill set couple with her friendly and practical approach will give your property the competitive edge that it needs.